We are the leading supplier and trader of air ventilation system from Honeywell.Honeywell offers a variety of energy-efficient Whole-House Ventilation System solutions for both new construction and retrofit applications. 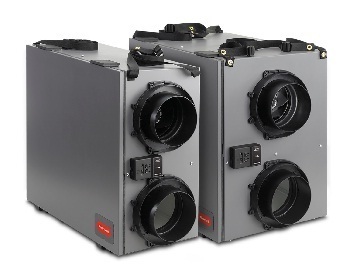 From Heat and Energy Recovery Ventilation to Fresh Air Supply Ventilation - meet all of your ventilation needs with Honeywell. A breeze to install. A breeze to balance. We Jupiter Scientific Company are an ISO 9001:2008 certified engaged in Lab Equipment, Vacuum Oven and Microscopes etc. Our technological up gradation and sound business policies have assisted us in marketing our products in the overseas markets along with meeting high sales targets. It is the functional reliability of our lab equipment that has earned us a name in this industry. All these scientific lab equipment and laboratory microscopes designed by us are perfectly in accordance with the international quality standards. Over the years, company has built up its reputation by dint of technical knowledge, prompt replies to sale inquiries and prompt deliveries.